404 error pages are dead pages are search engine bots, and for users. It not only give a bad user experience, but it’s bad for search engine bots. 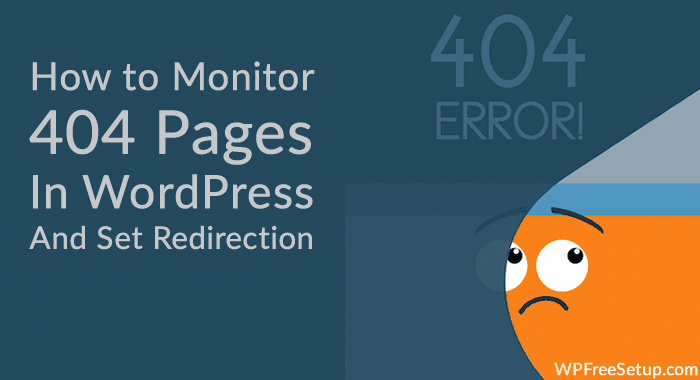 When you are using WordPress, with existing plugins, it’s always become easy to monitor your 404 error pages, and you can also set 301 perma-redirection redirections using plugin. Today, I will be talking about one such plugin call “Redirection”, which is one of the oldest WordPress plugin and work perfectly to handle 404 pages on your blog. As a blogger you should always monitor 404 error pages on your blog. You can take help of Google Webmaster tool, or use redirection plugins to see all pages giving 404 status code on your blog. Once you have identified a 404 error page, you should either redirect it to relevant page on your blog, or let it be 404, as Google will deindex such pages in a while. If you have got a valuable link on a 404 page, you can always add 301 redirect it to homepage, to take advantage of link juice. Download, install and activate redirection plugin. Now, you can click on green + icon on the left of any 404 error page, and you can add the new link where you want to 301 redirect such 404 error pages. Once you have added all the redirection, you can click on redirects and see how many users/bots are redirected from old 404 links to new 301 redirected link. In the above image, number 16 shows that that link is redirected 16 times. From here, you can also set a manual redirection. This plugin offers many options like you can create groups to monitor redirection groups. Redirection WordPress plugin is one of the best plugin out there to monitor 404 error pages, and set quick redirection. The only problem which I have found with this plugin is, it takes lots of database space. So you need to keep using wp db manager plugin to empty the table used by redirection plugin. If you have a busy site or getting too many 404 warning, you might to set the logs to expire in 1-2 day from the options tab of redirection plugin. Over all, this plugin will make your work easier to handle 404 pages, and add 301 redirection in WordPress. Do let me know which plugin you are using for 301 redirection and for error pages on your WordPress blog? Thank You Harsh for suggesting such an easy to use plugin for managing 404 error pages and handle 301 re-directions …. Is it possible to redirect old webpage url to external website. you can use plugin “Page Links To” for redirecting post or page URL to external link or website. i tried these and it works perfectly. Thanks for writing such a nice article on Page Redirection..as i am quite new and working on SEO. 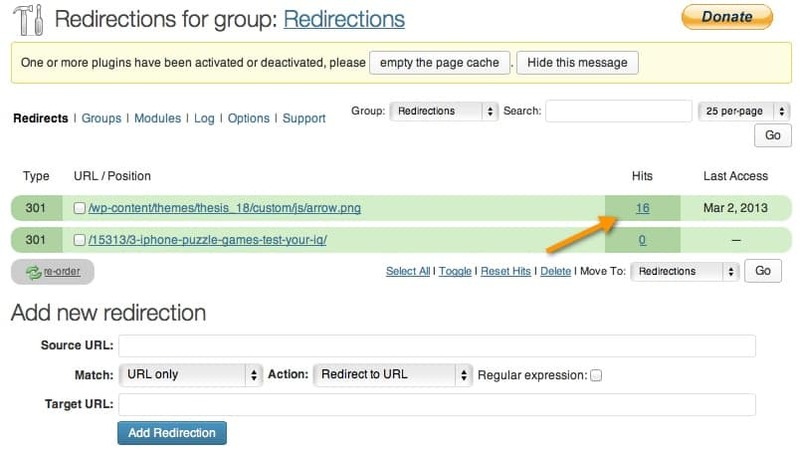 This article has really helped me on managing Redirection on my site. Glad you using this plugin. Keep reading for more similar stuff. I am not quite sure about it, but heard from lots of gurus that doing redirection to homepage of all 404 pages is not something liked by Google and you can get a penalty as a webmaster or deindexing of the whole blog in the worst case scenario. Thank you harsh for sharing on how to monitor 404 page…!! Very informative post, Harsh. I loved especially how you covered the way of redirecting 404 not found pages using a WordPress plugin. I never tried this method before. But Thanks for explaining me this method.